Discussion in 'Acer' started by bigozone, May 20, 2008. Posted by: who can check? In the first slot 1, in the second - 4. On the contrary, does not want a black screen. 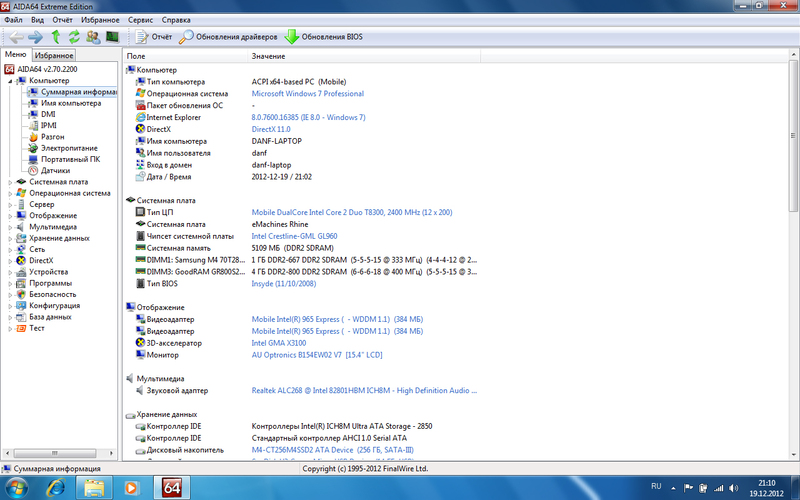 I had an Acer Aspire 5320 ,and i upgraded its Celeron m530 to a C2D T8300 but i couldn't Enable VT with stock the BIOS. 4.-Then, execute InsydeFlash.exe as Administrator and flash the BIOS. The original post said the bios may be compatible with the Aspire 5315, Aspire 5320, Aspire 5715Z, Aspire 5720, Aspire 7320, eMachines E510 but I'm not sure if works with all those laptops, i just flashed it on my aspire 5320. Do it by your own risk ,Im not responsible if you damage your Laptop, but at least that worked for my Aspire 5320.. Didn't Acer's Europe site have version 1.49 for the BIOS? I know when I had my 5315 and upgraded it to a Core 2 Duo I found a newer BIOS on the EU site. I guess not, i couldnt find anything about that version of the bios.